In this technological age, CCTV is a highly regarded form of security for a business. According to securitynewsdesk.com, in the UK, there is estimated to be 4 million to 5.9 million CCTV Cameras. The advantages of CCTV are obvious. They are a visual deterrent and provide around the clock surveillance. Your employees can be made to feel safer with CCTV in place, which makes for a happier workforce. You can also monitor the staff, so if a problem ever does occur (for example, a dispute between two colleagues) you can review the footage and get a complete picture of what went on. However, a lot of CCTV systems have a common disadvantage, they have poor video quality. This is down to the type of systems that are used. These systems are called Analogue CCTV systems. These systems have been around for a long time and we have seen an influx of very cheap systems recently. Like most things these days, you unfortunately get what you pay for. Because analogue systems are very cheap, they can be better suited to basic home security than they are for businesses use. With many businesses, there is a wider area to monitor than in a home environment, so you would need a lot more cameras, just to make sure one of the cameras is close enough to see the criminal’s face or record that all important registration number. Another issue is that these systems have limited wireless options and you can usually only connect a maximum of 4 cameras to the system. 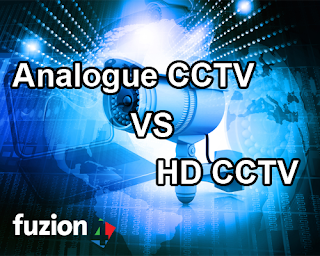 An alternative is High Definition (HD) CCTV. 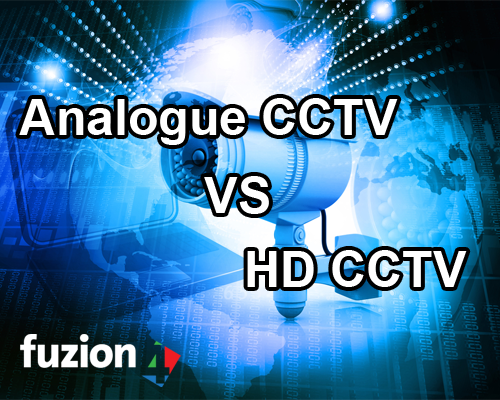 The biggest advantage that HD CCTV has over Analogue is superior picture quality. Features of the criminals face can be made out and number plates can be read even if you zoom in. This means the system has a larger line of sight than their analogue counterparts, meaning fewer cameras are required. Another advantage is that certain HD CCTV Systems (HD over Coax) use the same wiring as Analogue Systems, so upgrading your current system is a lot easier than you might think. Due to the superior picture quality, a lot more features can be added to HD CCTV systems. One of these features being the ability to read number plates. The system can recognise car number plates and then check them against a database, before opening the gate to the parking area. This can be used to deny access to unauthorized parties in or out of working hours. As mentioned before, you get what you pay for, but if the system deters, prevents or catches a perpetrator and thereby prevents loss of production, stress of having to spend time with the police, having worried employees, time lost explaining to everyone what’s happened and having to sort out insurance, the extra cost of the HD CCTV over analogue will become insignificant. Also consider they can do so much more than just record what it sees – they can be programmed, they can notice when something is missing, help in process controls by monitoring production and much more. If you want to find out more about HD CCTV and how it can help your business, watch this video or give us a call to discuss your requirements. Nice post, This is very useful information, Thanks for sharing and keep updating your post. Good post and many points are highlighted. Thanks. This camera helps in many ways. Benefits the traffic department and helps in many crime cases. Number plate recognizing cameras should be made mandatory in all streets and roads. the DIY kits that you can purchase do offer some limited surveillance, but these cheaper devices have security faults that would almost make them redundant for purpose. Professional cctv installation systems may be a bigger investment. A debt of gratitude is in order for sharing the information, keep doing awesome... I truly delighted in investigating your site. great asset..
Nice post. it is very interesting and informative. Thank you for the sharing this amazing one. keep more like this.